Ballonseal is one of the most commonly used seals in the world. Having been on the market for over 40 years, it has also been one of the most securest of indicative security seals. The metal strap seal is sequentially numbered and customised. 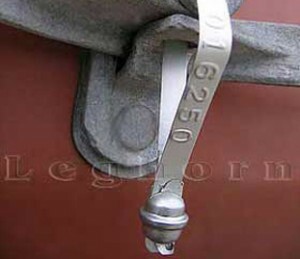 Once the tail of the seal is slotted into locking system contained in the head of the seal, it can not be opened without breaking it, and as a result tampering is immmediately evident. The Balloonseal is a high quality seal at excellent value-ideal for logisitcs purposes Similar products: STRAPSEAL and TRASLOCK. Contact our specialist sales consultants who are ready to assist with your enquiry! 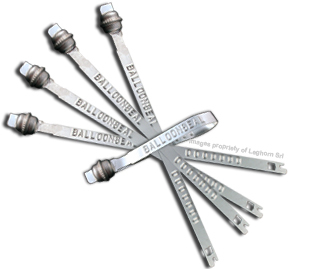 Balloon seal is perhaps the most secure type of metal strap seal, due to the blocking system. The seal’s tail is inserted into the head/balloon part and the internal double steel spring clamps the tail in place. After the seal has been blocked, it’s impossible to reopen it without breaking it and leaving any evidence of tampering. Sequenced numbering up to 7 digits. Carton with 1000 seals per carton divided into bags of 100 sequential numbered seals.